Why Does Email Sometimes Take So Long to Be Delivered? - Ask Leo! Why Does Email Sometimes Take So Long to Be Delivered? Counting on email being almost instant is probably a bad idea. Email is designed to tolerate many delays, and delays do happen. When someone sends me an email, I don’t get it right away – sometimes it takes hours. It is time stamped hours before I actually get the message. Could it be because my inbox is too full? We’re all so used to email being almost instantaneous that delays are noticeable. Email delivery can be delayed for many reasons, and counting on it to be nearly instant is just a bad idea. Couple that with the fact that the timestamps on email often lie, and it can be really difficult to understand exactly what happens when email takes a little longer than expected. Email may travel across multiple servers. The sender’s email server, and yours, of course; but it’s also possible that several intermediate servers may also be involved, each one receiving and then passing the email on to the next along the route. Surprisingly, there’s no requirement those servers operate quickly, or in any timely fashion. In fact, if they’re overloaded with mail, spam, or other tasks, they could simply be slow – and technically, that’s quite ok. In fact, I would guess that in most cases, delayed email is due to one of the mail servers along the way being overloaded and running slowly – most frequently due to a flood of spam. Naturally, there are other potential causes for delays, including how often you check your mail1. Delays may be minutes, hours, or, in worst-case scenarios, even days. A full mailbox is typically not a reason for a delay. 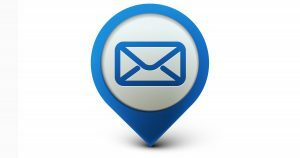 If your mailbox is full, most email services return the message to the sender – called a “bounce” – indicating it could not be delivered. On rare occasions, it might also simply be discarded. On getting the bounce notification, the sender could try again, and if you’d made room in your mailbox since the first attempt, the mail might be delivered as expected. Depending on how long all that took, it could look like a delay, but it definitely wasn’t automatic. The sender had to take steps to re-send the mail. One thing that can make things very confusing to you as the recipient of email is that the date and time displayed on the email are usually the date and time the email was sent, as displayed from the sender’s computer. If they have that date and time wrong, it’s still that date and time that shows up on the email they send. If you’ve ever seem email (particularly spam) “from the future”, that’s probably what’s happened. The clock on the computer sending the email is set wrong, either accidentally or on purpose. Starting at the bottom and working upwards, you can see the email message make its way from my email service provider (aweber.com) to a spam-filtering service, and then on to my server (lw6.pugetsoundsoftware.com). Each “hop”, as they’re called, includes the timestamp the message was received, which I’ve highlighted in bold above. Note that each timestamp is in 24-hour notation, and also includes its time zone designation. In that last entry, for example, “08:15:11 -0700” indicates 8:15 am in the time zone 7 hours behind UTC (Universal Time Coordinated, or less correctly, GMT, Greenwich Mean Time). In theory, once you account for time zones, you can relatively accurately trace how long the mail spent on each server along the way, and thus identify any potential bottlenecks. In the example above, the message spent over a full minute on the spam filtering service’s server before being passed to my server. However, this has one interesting flaw: it still assumes everyone’s clock is set correctly – including all the mail servers. In most cases, they are fairly accurate, at least to within a few seconds, but it’s definitely not foolproof. Email is one of the oldest services on the modern internet, and was designed at a time when computers were not continuously connected. The result is that email services, servers, and protocols all have a high degree of resiliency built into them. Depending on the type of failure a mail server encounters when attempting to deliver email, it may elect to reject and return a bounce message, or it may decide to hold on to the message and try again later. In the latter case, it can keep trying for multiple days before finally giving up. If something you’ve sent, or are expecting, hasn’t arrived in what you’d consider a reasonable amount of time, check to make sure the message was sent properly. Then consider sending it again, sending it again using a different provider, or using a different, more immediate tool for the job, like instant messaging. How Long Does Email Delivery Take? - Email is typically very fast, but there are several reasons it can be legitimately delayed for hours, or perhaps even days. Why Am I Getting a “Delivery Status Notification (Delay)” on an Email I Sent? - Delays happen for many reasons; it's the nature of the email infrastructure. If you get a "Delivery Status Notification (Delay)", your options are limited. Why Does Email with a Lot of BCC’ed Recipients Bounce? - BCC is good for many things. Sending to many people at once isn't really one of them. 1: It’s less common than it once was, but the act of checking for email frequently could impact the server, preventing it from actually processing email. 2: Unfortunately, exactly how you do this varies based on what email program or interface you’re using. When displaying a single message, look for options referencing “headers”, “message source”, or “original”. « Previous post: How Do I Upgrade Windows When I Can’t Actually “Upgrade”? I met an american couple in Feb 2009 in Venice and I exchanged contact details with them. Shortly afterwards I sent them an email to which I never received a reply until now (March 2010). Without going into too much detail, he replied as if I’d just sent it which I thought was strange and when I queried why he was only now getting in touch he replied the email had just arrived and he’d replied as soon as he’d received it. I want to know how it is possible for an email to take more than a year to reach it’s recipient? In the original email I sent I there was a photograph and a link to an online documentary that was quite politically sensitive. Could that have been the reason for the delay? I am in the UK and the recipients live in the USA. It would be great if you could shed some light on this. Thanks. I have also had people receive some email from me that were dated over a year old…a couple had events with dates right in the email which proved they were older than a year. I’ve had that happen only to finally discover that it was because I didn’t actually send the email. It sat in my draft folder forever, and then something that I did sent it. I would like to know why it takes so long to get an email from my husband that is in the next room. I don’t get them sometimes until the next day. Basically the article you just commented on has that answer. Just because you’re in the next room doesn’t mean anything. The email you send still goes to your email provider (wherever they are), then to your husband’s email provider (wherever they are) and then finally to your hiusband’s computer. Early in the internet email era for non-government/student users, I looked at the headers on some of the messages and found that almost all were hitting servers on universities on both coasts. I was amazed at how fast they got thru. I was also on a BBS (bulletin board system) that passed emails through a central hub overnight. When Desert Storm was starting, they set up a node with access to military mail over there. Just put the soldier’s address at the top of the message and they would print it and drop it in the mail to them. My younger brother was amazed at how fast it got to him. well, I’ve been making this Email since a long time ago, more than three months. but I still never get a notified by the website who’s require an email approval for the verification. and I’ve sent a verification from the web over and over again, but I still haven’t got one until now. why is that? and I’ve been using another web to register too, and whenever it uses an email approval, the verification still never been sent on my email..
please answer this.. thank you very much..
Hard to say. Make sure that you’re typing in your email address EXACTLY correct, and that the verifications aren’t ending up in your spam folder. Update: the email address you provided here was invalid and bounced. That would explain everything. Again, make absolutely certain you’re using the correct email address. Often when sending has been delayed for a long enough period of time, the sender will receive a delayed delivery warning. In that case, I always resend the email, possibly with an explanation that it is a resend. In the extremely vast majority of cases the resent email will get delivered almost instantly (as the extremely vast majority of emails do). The delayed email will almost surely take a few hours or in many cases bounce. And maybe if an email is urgent enough, you might consider sending it twice, possibly from different accounts. It might sound crazy, but we’ve gotten a couple of questions from people who’ve sent out urgent emails which were delayed and eventually bounced. Whilst not e-mail, I recently came across a TIME problem with the British Train Ticket and Timetable system “trainline”. Because of extended computing experience back when I was working, I keep all of my PCs on GMT/UTC throughout the year, although here in the UK we are presntly on BST (British Summer Time), one hour “forward” on GMT. Presently approaching 12:00 hours/Mid-Day on GMT; but on BST it is approaching 13:00. Recently my lady-wife was returning from Aviemore up in the Highlands, by train. I was interested in both the end-to-end Journey Times; and also the times that the train would be calling at the intermediate stations. The trainline system came up with the correct end-to-end times, its first level offering. I then “clicked” to obtain the “Calling Times”. It repeated the end-to-end times correctly; but the Calling Times although at the correct intervals, were all one hour behind. That was seen by leaving Aviemore at 10:27 correctly, then being at the first Calling Point, Kingussie, at 9:39. Playing about later with the PC Time, I found that if I switched my PC Clock to BST, the correct Calling Times appeared. Reverting to my preferred GMT, re-introduced the Calling TIMES Discrepancies. Note that the Start and Finish Times of the journey stayed CORRECT, whether the PC was on GMT or BST. It was only the intermediate Calling Times that were wrong. So it seems that somehow, the “trainline” system was accessing my PC Internal Clock; and introducing those errors as a result, I can not think why it should have to make such an access. Further checking with a grandson’s mobile/cell phone on both GMT and BST did NOT produce similar errors, suggesting that there are distinct differences in the trainline software programming, for the two different forms of access. Although reported over a week back, I have just checked in the past minute, the error/discrepancy remains. I’m sending emails to a dear friend whose husband is ill. Two replies were returned from her without messages. Would there be a technical reason for this. They seemed to have been delivered and it appears she returned the email. There’s no personal reason why there’d be no message. If by “returned” you actually mean “replied” with no message, I’ve seen this too. I chalk it up to a typo on the recipient’s part. I know of no reason this would happen automatically. If by “returned” you actually mean “bounced”, as in an error, then there would be a message there. I have a gmail account that I have been using for business related communication. I’ve been using it for many months (without issue, as far as I know). Then I started having some doubts and sent multiple test emails from my yahoo account to my gmail account. Most got through…but one didn’t (sent about 8 hours ago). According to yahoo, it’s been sent (it’s in the sent folder). No sign of it on gmail – it’s not in spam, trash, etc. I have no filters, muted or blocked accounts. I’ll also note that even the test emails that successfully came through normally took several minutes each time, as opposed to seconds. My question is: at what point do I give up on this gmail account? Changing my email with so many people would be awkward, but at this point I lack confidence in the system. On the other hand, the problem could be yahoo…or something else entirely. No idea, really. I know it’s a matter of opinion, but any suggestions on how to approach this? When does a system no longer deserve your confidence? It’s really started to worry me, and I’d appreciate any opinion offered. I certainly wouldn’t give up on it because of one missed email. Spam filters are tricky at best. And the email system is strange. You may find the email arriving later. If you DO change, I’d purchase a domain (as I have, askleo.com), and then use that as your email address, but routing it through gmail (or outlook.com or yahoo) or just going direct. That way you can change the “back end” provider at will without changing your email address. All askleo.com email I get actually goes through a gmail account. Why do my yahoo emails (incoming) show up on my cell phone but then can take another 12 – 24 hours to show up on PC? I’d have to know the full details of how everything is configured to even hazard a guess. Thank you for the reply. I’m not sure I would know where to start telling you things are configured. Not much of a techie. How long does an email from Denver Colorado to London take? Does it take longer because it goes overseas? Shouldn’t. Generally email is close to instantaneous if everything is working. As the article outlines, though, there are other reasons email can be delayed. Surprisingly distance is rarely one of them.